After a very successful series of surveys of the NIMPA in 2012, we are happy to be continuing the work here with the Ministry of Fisheries and Marine Resources. The ship we're using has a lot of obligations: surveying for lobsters, doing environmental monitoring lines and supplying the islands (and islanders) with water, food and crew. Then there is bad weather…so there is always a queue to get on the ship and we were very happy to get a good clear 3 straight days last week in an excellent forecast. The forecast held and we had some of the best weather I've ever had at sea on a ship. Day 01 was a bit swelly still (with some associated sea sickness from us all), but day 2 and 3 were glassy flat and lovely. 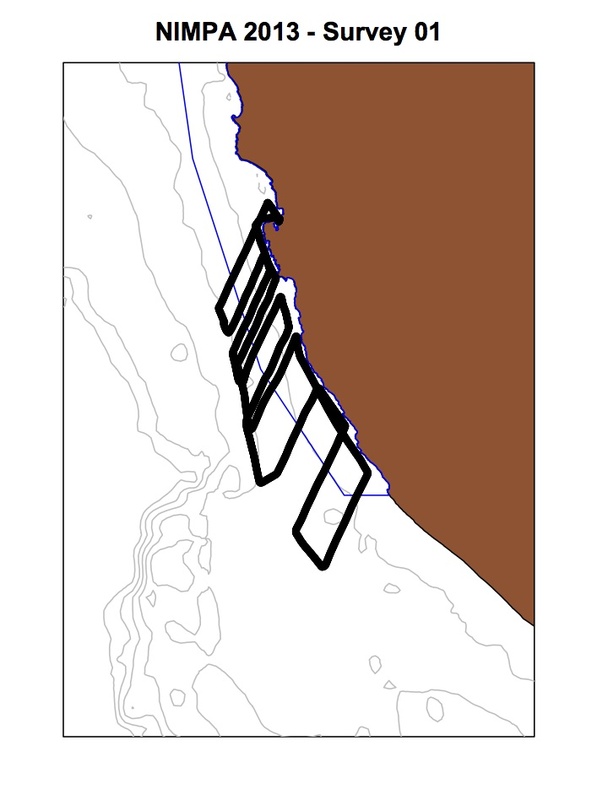 The area we surveyed is just to the south of Luderitz Bay and straddles the heart of the main upwelling cell within the Benguela ecosystem. This upwelling cell is so strong and so fast moving that there is (counterintuitively) remarkably little life there as there hasn't been a chance for the nutrients to get converted into phytoplankton and move up the food chain. Last year, we only got one day in this area and no sightings but it was horrible misty, swell weather, so it was important for us to get into this area again to confirm our findings. Given potential for low sightings, we were thus quite happy to have had 22 dusky dolphin sightings and 5 whale sightings over the 3 days (although they mostly happened close to shore and outside of the upwelling cell) and the hydrophone worked like a bomb the whole time. 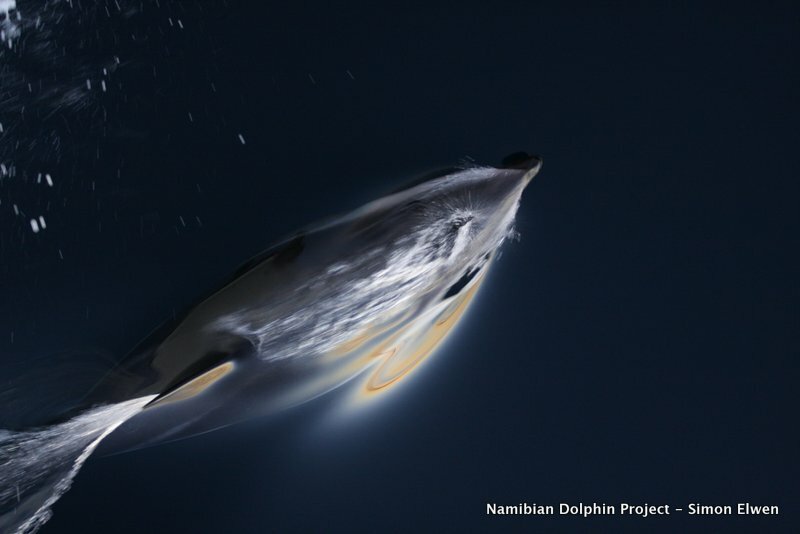 Heaviside's dolphins echolocate at a very high frequency (are~120kHz), we have to record up to 250 kHz to cover the entire click's frequency range - this is more than 10X the data density (quality) of a normal 'human' recording. To put it in perspective, we fill a CD with data every 5 minutes.